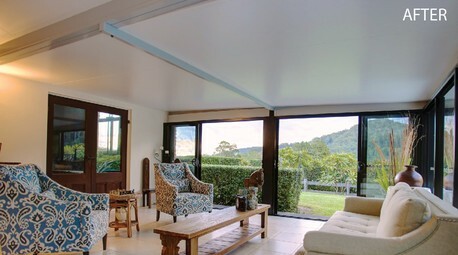 Is your outdoor room or verandah too hot or too cold? There’s no need to replace your roof or install bulky insulation, plasterboard ceilings and all the associated mess, sanding and painting. Pre-finished insulated Ceilink panels are specifically designed to fit under existing or new single skin roofing or line an existing wall, and are quick and easy to install in just a few hours. Ceilink delivers great thermal comfort properties, reducing radiant heat transfer by over 90%. Ideal for new or retro fit projects. 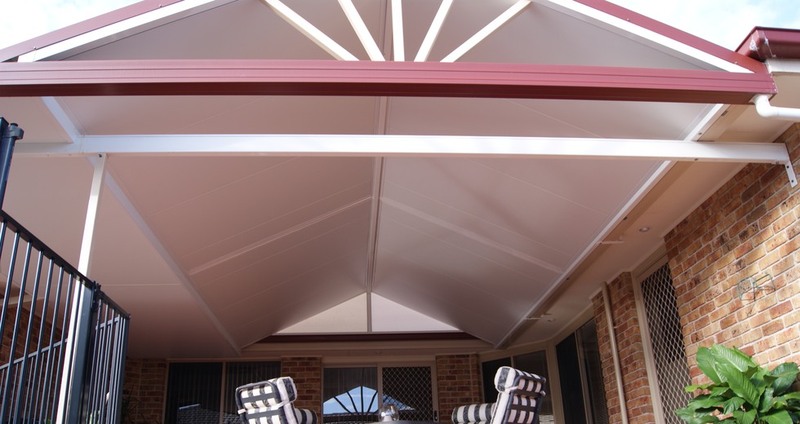 For use in domestic and commerical applications, patios, pergolas, gable roofs, screen enclosures, factory units, sheds, awnings, commercial kitchens.